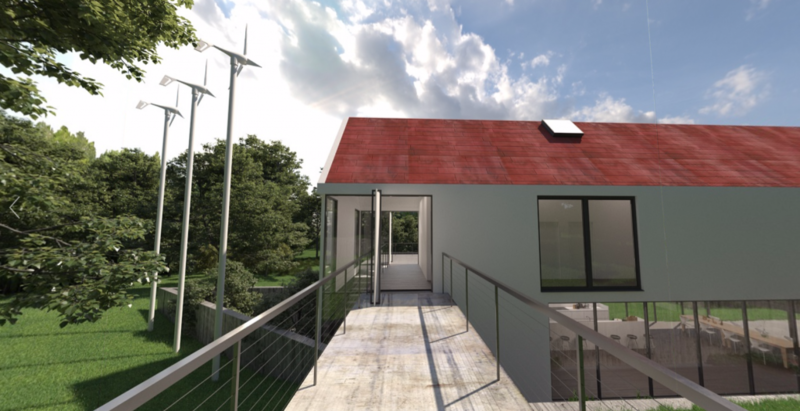 Renderings are a complementary tool during the design review process because they help bring the design to life, along with 3D models, panorama images and other design assets, presented in the right context. 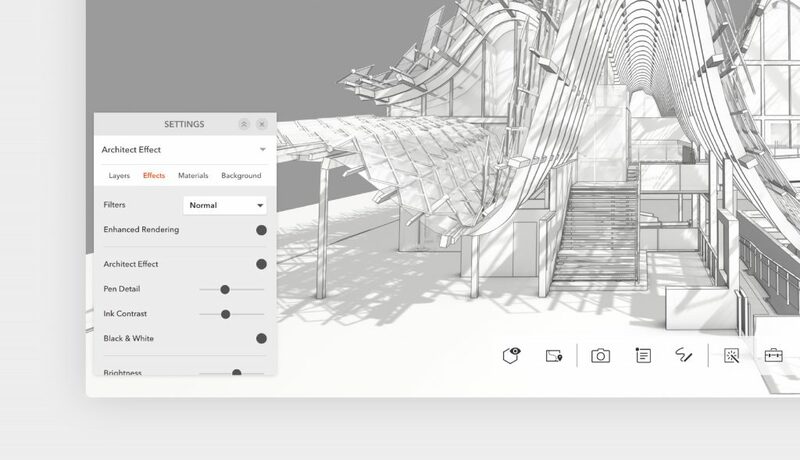 Modelo renders 45 times faster than other tools and offers rendering tools that allow users to see different design options and make design tweaks at any stage of the process. Outlined below are 4 tools to help you create beautiful renderings with Modelo. 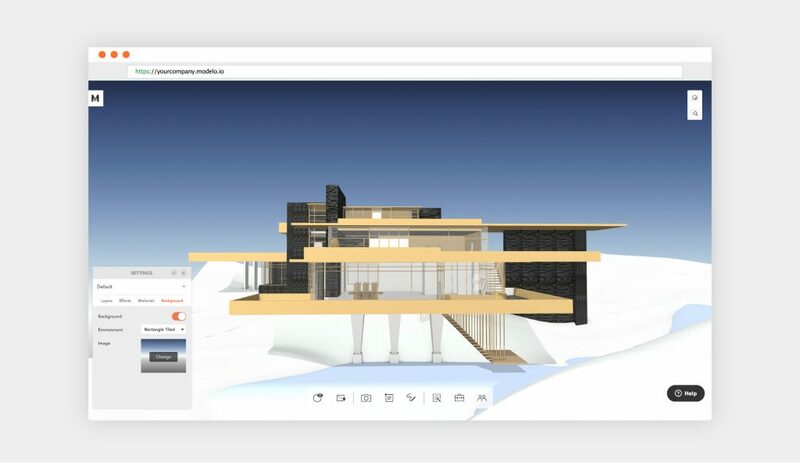 Once you’ve uploaded your 3D model, upload a background image to truly immerse stakeholders in a real life view of your design. You can choose from the preset backgrounds that Modelo offers, such as morning fog or midnight L.A., or you can upload your own background such as a company logo to create a branded presentation. Note: customizable backgrounds is a paid feature, learn more by reaching out to hi@modelo.io today. 360º images are much more realistic than 2D renderings and allow stakeholders to get a better spatial understanding of the design. Plus, 360º give the same effect of being immersed in the design, but are less clunky than VR headsets. Modelo is compatible with any panorama image. What’s more, you can attach panorama images to comment cards to provide context during presentations and also view in virtual reality. There are many filters in Modelo, such as blueprint or grayscale. But the Architect Effect filter provides a clean, minimal hand-drawn look to the design and enhances pen detail. Designs can be viewed in black and white or in color. 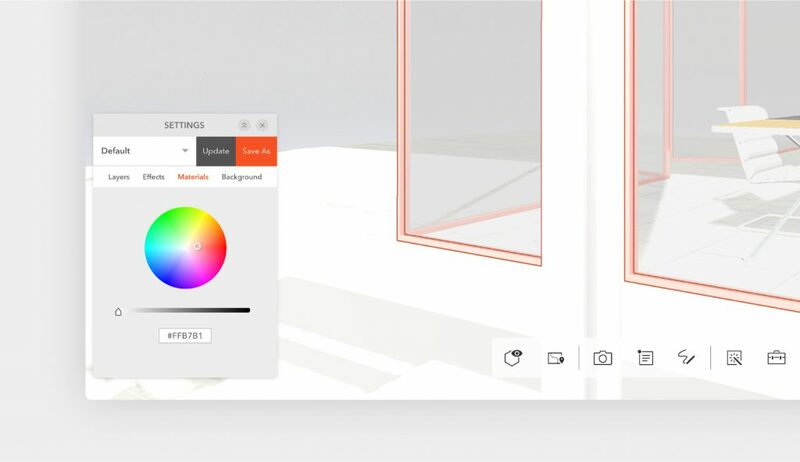 With Modelo’s advanced design settings, users can adjust the lighting, change material colors, turn layers on and off, or apply filters. Modelo users can save their settings and update as the default to then revisit the next time they want to access it. Then simply create some comment cards and move through the presentation smoothly, toggling through different design options. Next, learn about the 11 ways Modelo can help you be more productive and create your own account for free.